Each one of these has a number of variants with different individual specifications. A brief on the usage and advantage of commonly used hand tools are as given below. Putty knives of diverse designs for a range of purposes are available such as the scrapers, putty knives with plastic or wooden handles or soft TPR handle as well as jumbo scrapers and cleaning scrapers. These variants come in handy and make for smart buys when you know the exact purpose of usage. Wire brushes that are used for cleaning and smoothening can be an American steel wire brush or a cup brush or circular or flat twisted wire brush. Strengthened twist wire brushes are available for more rigorous brushing. Rollers are the handiest tools when it comes to undertaking a paint job since brushes can be slightly messier and difficult to handle. Rollers for texture paints and of unconventional material such as toy material or polyurethane are also available. 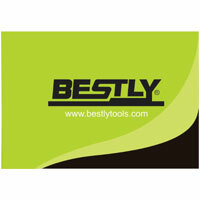 Trowels are essential for plastering walls or any surface evenly with cement. Some of the trowels that are available include the abs plastering trowel and the stainless steel plastering trowel with varied handle sizes and material. As all will agree pliers are the most basic and most used hand tools when it comes to any kind of repair jobs. There are different pliers available for cutting different wires efficiently such as the linesman pliers, snap ring pliers of different sizes with anti slip handles and many more including the common pliers for minor household repairs. Industrial grade pliers are greatly used by professionals such as carpenters, builders and plumbers. These pliers are of highest quality and strength and are of heavy duty caliber. Screwdrivers are the next most common tool used and they come in a variety of head shapes for different types of screws. They also come with a multiple piece change set, which is the multipurpose variant of this tool. Testers can help you test whether a particular socket is getting power supply and with the digital clamp multi-meter you can also measure the voltage and ampere setting. Most of the online stores that sell hand tools undertake bulk orders and provide quality materials at economical prizes. They also give the option of customizing the tools we buy which is the most lucrative thing about online shopping of tools. This guarantees 100% utility and the satisfaction of buying “exactly” what is needed is just amazing. Today, online shops monitor their orders very efficiently. They pay the great attention to service and quality of products starting right from the moment you place your order until delivery. So, you are guaranteed excellent tools on time right at your door step.